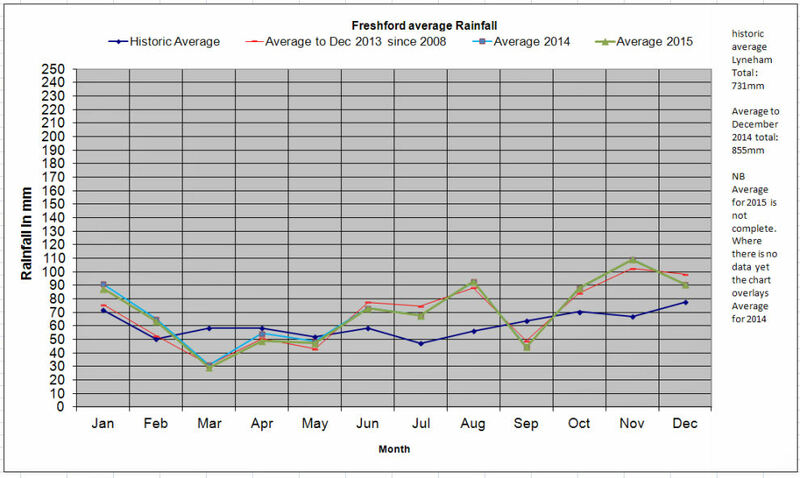 The chart below shows the 20 years Lyneham average rainfall and Freshford rainfall average from 2009 to 2014 (six year period) I have included average rainfall to 2015, obviously this data is not complete yet. For May 2015 I have only entered so far (5th) 39mm. Far from the average rainfall becoming flattened as more years are added to the data, the trend is portraying higher and lower rainfall. Please note that the graph for 2015 will overlay the 2014 Average as May to December data is zero. 1.3 The creation of a new solely residential settlement of the type proposed in this parish can only result in urbanisation of the countryside, an increase in car usage on the very poor local road system, and a further unbalancing of the community. We do not consider any of these results to be desirable in any terms. The only benefit arising from this application which is accepted by this Council would be the improvement in the landscape, but emphatically not at the cost of the arguments against the scheme which are set out in this document. 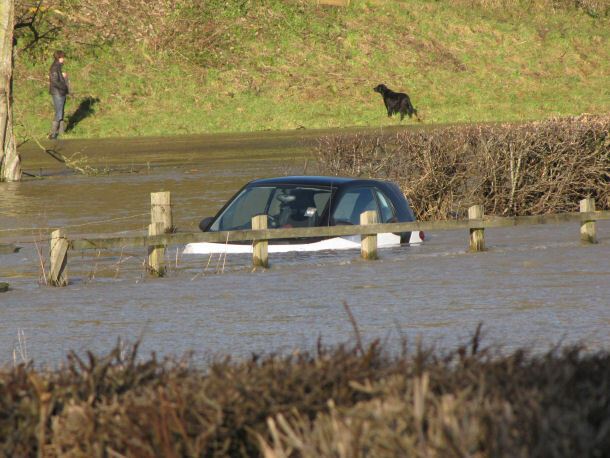 The worst flood in 2013 happened on Christmas Eve. 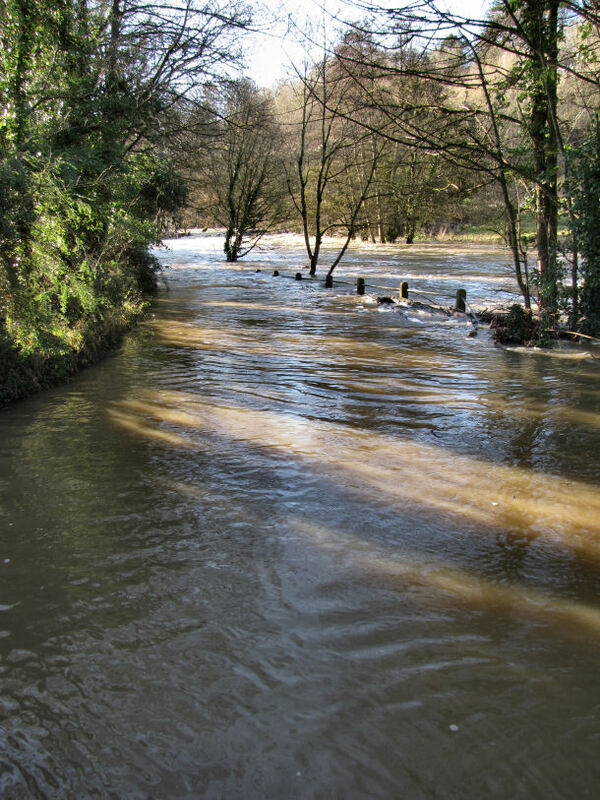 Freshford Mill was also flooded but I was unable to take photos on site. 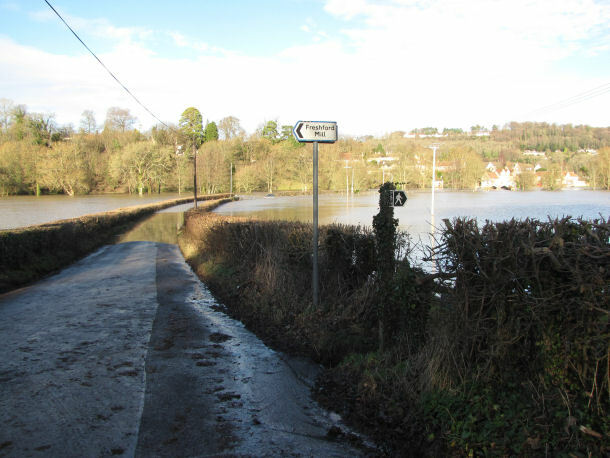 A careful comparison of other photos taken in 2012 will confirm that the level of flooding is higher in 2013. 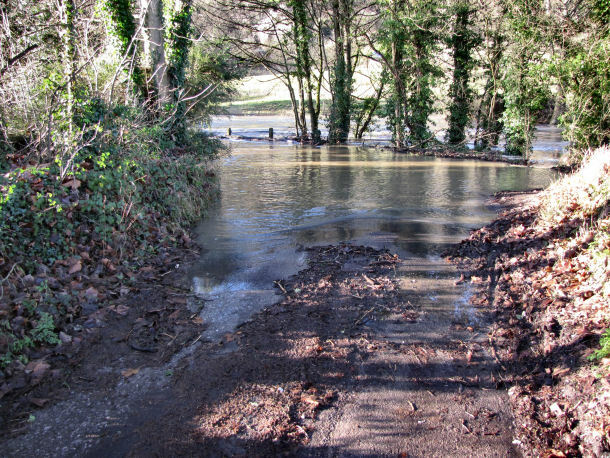 Staples Hill the road leading into Freshford over the river Frome.